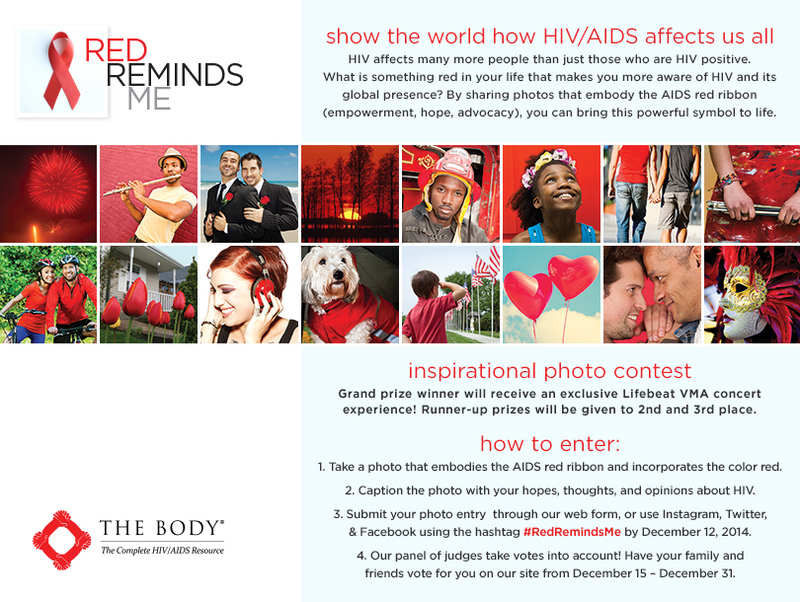 People can submit their photos and captions using the Web form below (the preferred method), on our Facebook page, or by using the #RedRemindsMe hashtag on Instagram, Twitter and Facebook from Nov. 15 through Dec. 12. 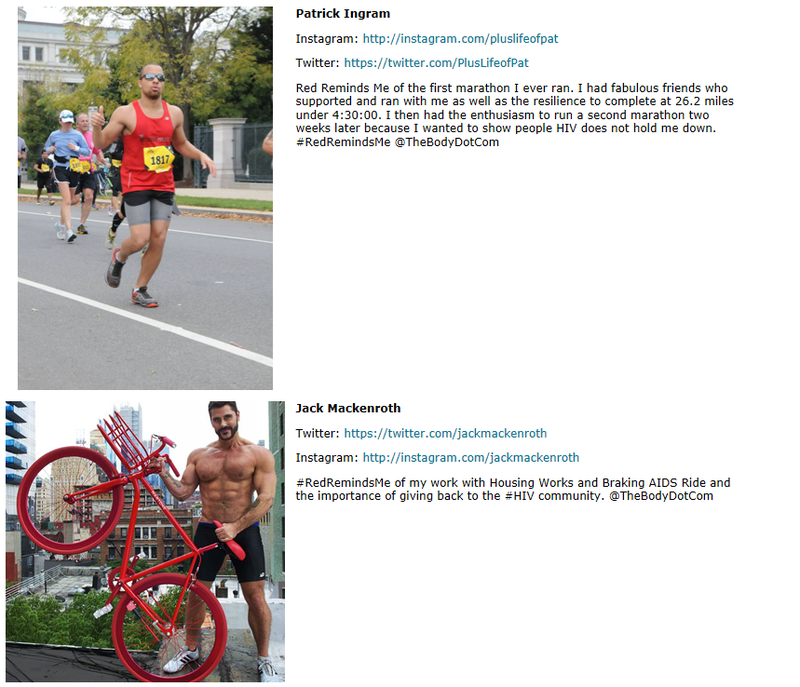 TheBody.com will moderate submissions and open up voting to the public from Dec. 15 to 31. The three most creative and inspirational photos (as chosen by a panel of judges) will be announced by the week of Jan. 12 and rewarded with a great prize. Our grand prize includes an MTV Video Music Awards experience, with two tickets to the LifeBEat/ Time Warner Cable/ MTV VMA Concert and a $1,000 gift card for accommodations and travel. Past performers include: Sam Smith, Kesha, Maroon 5, Iggy Azalea, Macklemore and Robin Thicke. Two runner-up submissions will also be selected, and will receive cash prizes: a $250 gift card for 2nd place and $100 gift card for 3rd place. For more information about this campaign click here!